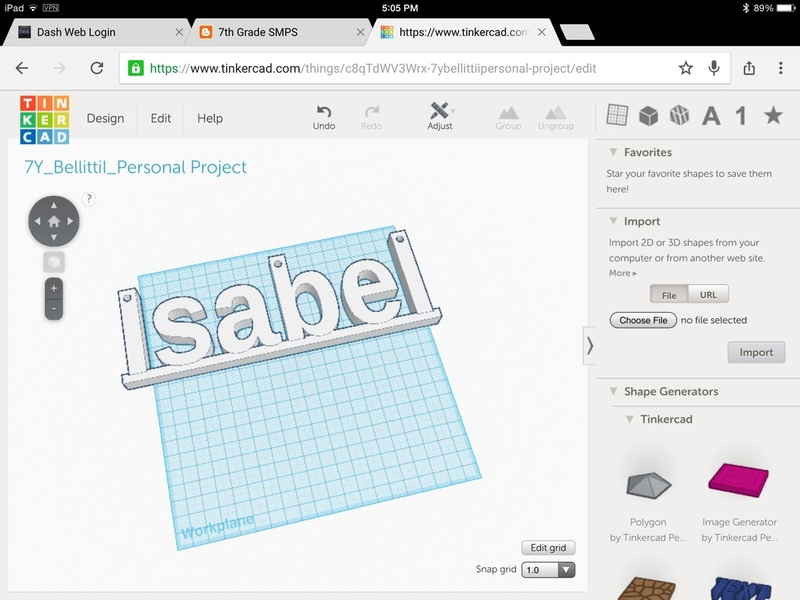 I made a name template that is 3D printing in the shape of my name. Then I added LED lights to it to make it have light. a) Yes, my first print came out to small so I had to double the size of it. 6. The most fun was the end watching it light up and having all the hard work pay off. 7. 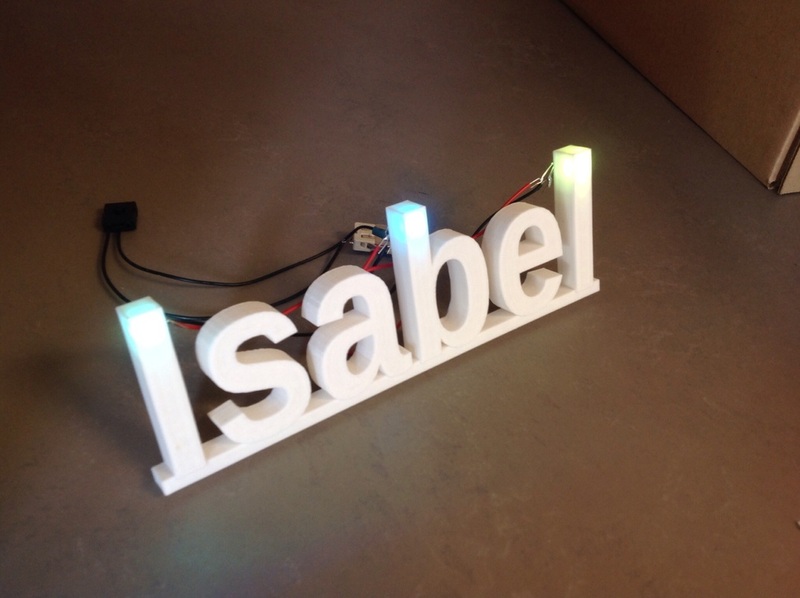 I learned to use TinkerCAD to make the shape of my name and also I learned how to connect three lights together with a circiut. b) yes I found myself learned how to be independent and try to build this with a little help from Mr. Umekubo but most of it on my own. 8. I don't really have any links other than maybe tinkercad.com. 9. If I were to change something maybe I would have put more LEDs and make the wire not show at all. But overall I think my project turned out really good. 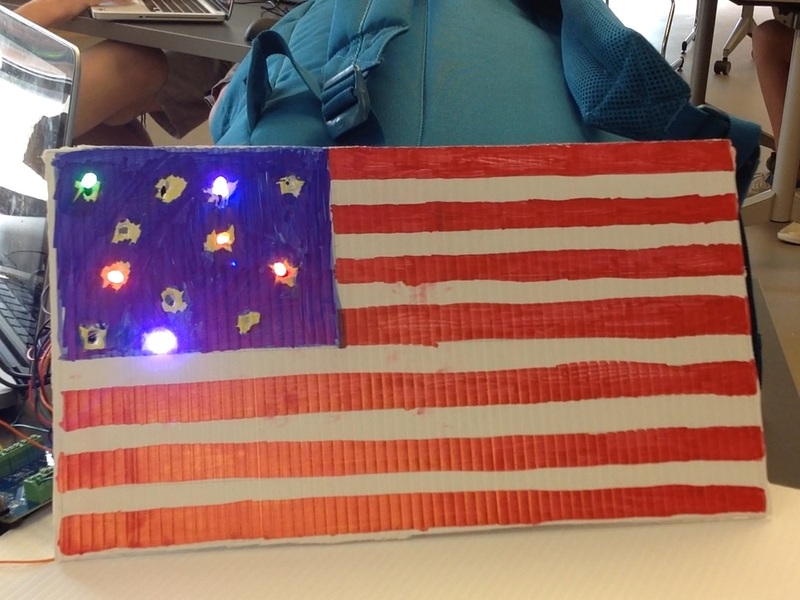 For my Hummingburd Project, Ava and I used the hummingbird machine, and the Creator computer app to make the LED lights on the flags and have the American Anthem play. Then we used cardboard and marker to draw the flag. If we had more time we would maybe make the lights flash and the music start and stop at the same time as the lights. In creator's studio this week, I built a name tag. 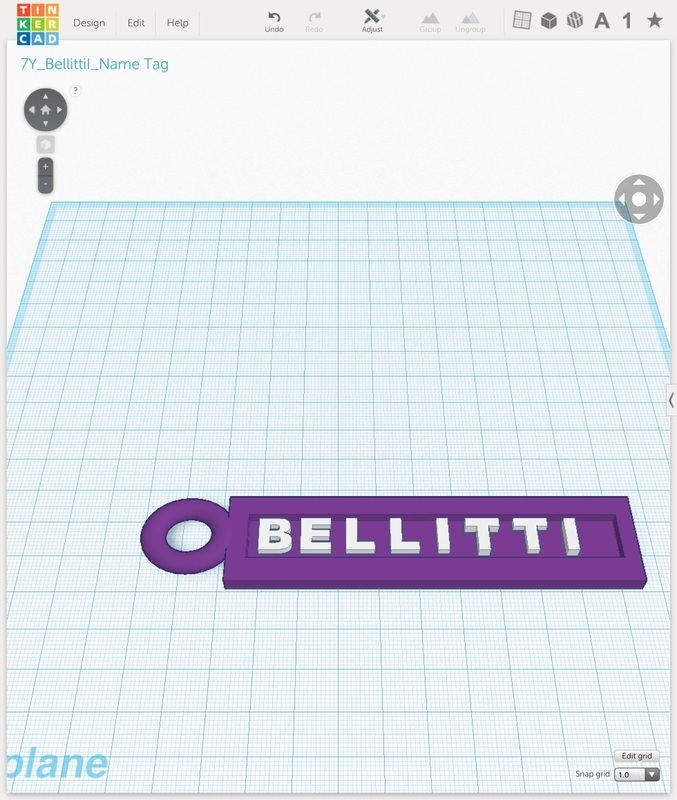 I used the app TinkerCAD and shaped my name into the shape of a tag. I used geometric shapes to make the base, I used holes to make a hole to write my name. I used letter shapes to write my name and I used shape generations to make the hole. I am to make a hand scratcher with Ava and Ali. I is going to vibrate and scratch you. We have to learn how to make the shape of a hand on the computer and learn how to 3D print it. Also we learn to make it vibrate and message people. The 3D Printer, fake nails, something to make it vibrate and nail polish.